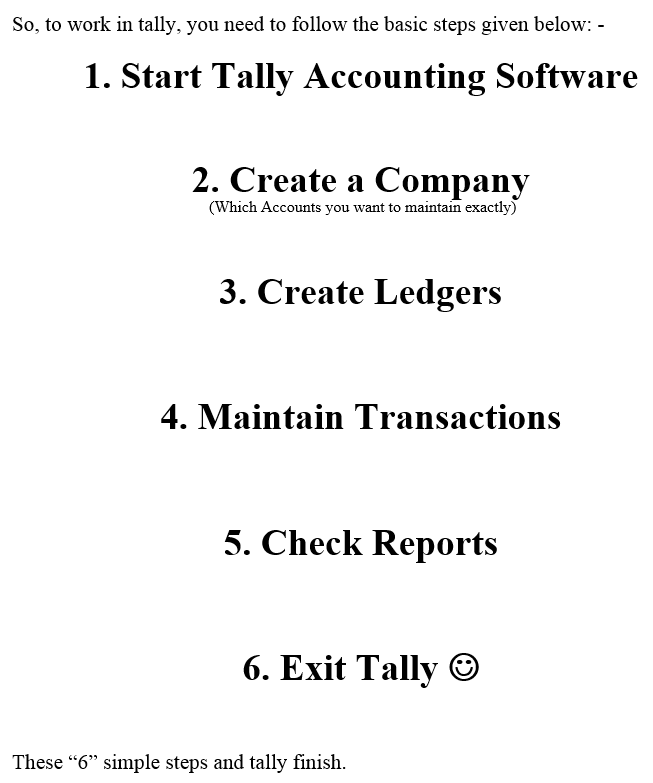 Tally is an accounting software, where you can maintain your accounts in computerized form. In an easy easier and in easiest way. Before knowing anything about tally, we should have a basic knowledge of accounts. 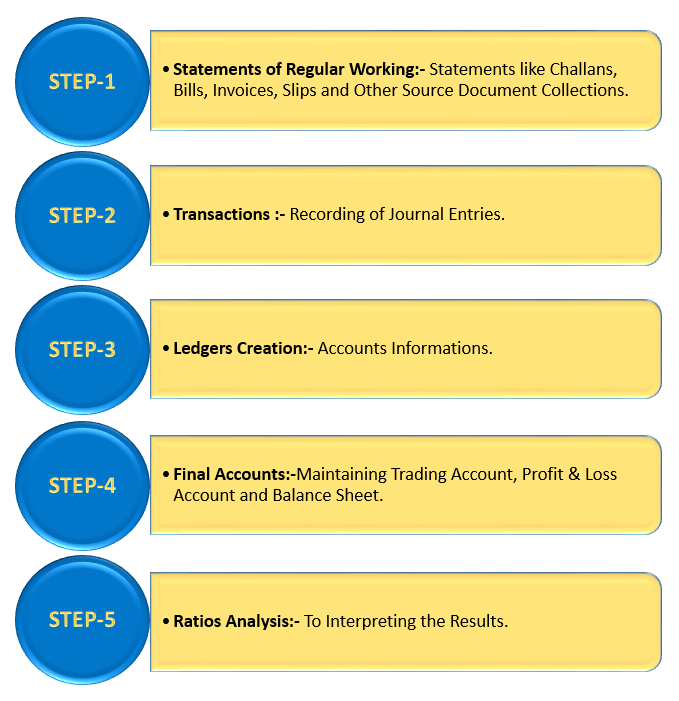 Accounting is a systematical way to Record classify summarize the data (in terms of money, transactions and events) and interpretation of results thereof. 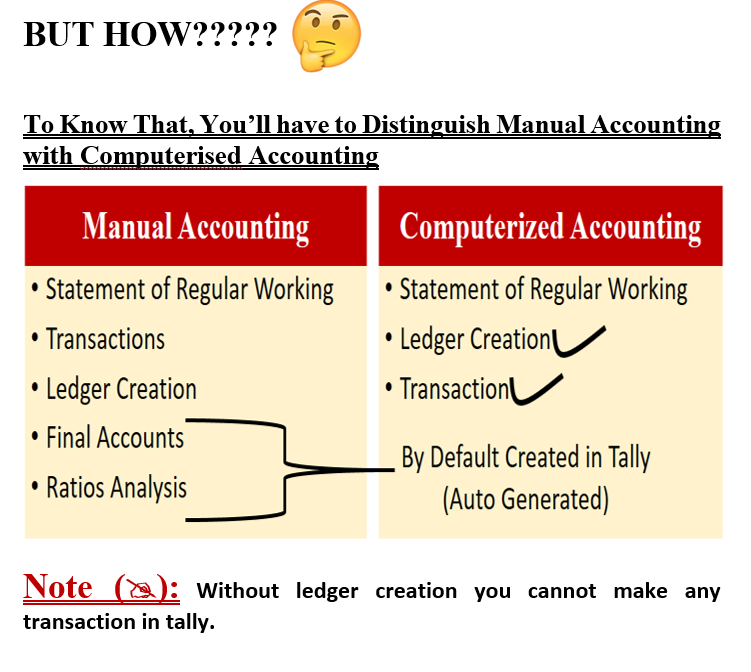 All given 5 steps are mandatory to maintain accounts in manual form, but when you maintain your accounts in computerized form it will make you work easy.